A Finnish study found that once you become a parent, fighting with in-laws should be expected, and it's called the Kinship Penalty. 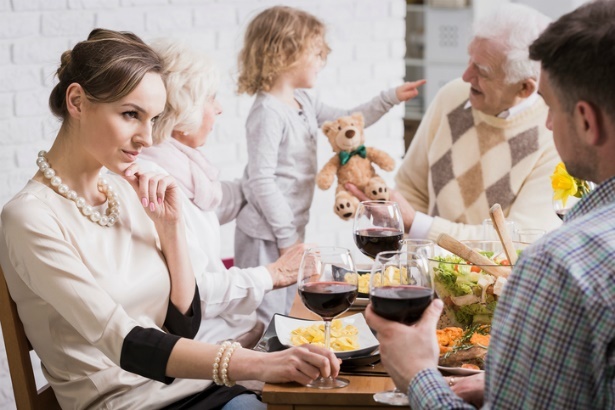 A 2017 survey conducted in Finland has finally put some truth behind the well-familiar stereotypes about in-laws, but it's not as bad as it sounds. Gathering data from 1200 participants, researchers from the University of Turku found that after having children, the likelihood that fights will occur between a parent and their in-laws rises. Dubbed the 'Kinship Penalty', data showed that once grandchildren are born, in-laws level up in the family ties department, and are seen more like one's own parents. So it's not as bad as it sounds, really. Are you familiar with the Kinship Penalty? What's the worst story you have about in-laws? Tell us by emailing to chatback@parent24.com and we could publish your letter. Do let us know if you'd like to stay anonymous. The survey found that childless couples did not report the same degree of conflict with their in-laws as couples who have procreated. The matter was found to be worse when it came to the relationship between daughters-in-law and a paternal grandmother providing childcare. "Daughters-in-law were more likely to report conflicts when paternal grandmothers provided more grandchild care, indicating that the conflict measure used here is indeed related to investment in offspring." So in the grand scheme of things, fighting should be taken as a sign of closeness, cause really, no one fights like family. Children fighting: Make it stop!